Well, it’s finally summer time and I think we’re in need of a nice DANCEHALL WEED JAM for your laid back summer smoke session. 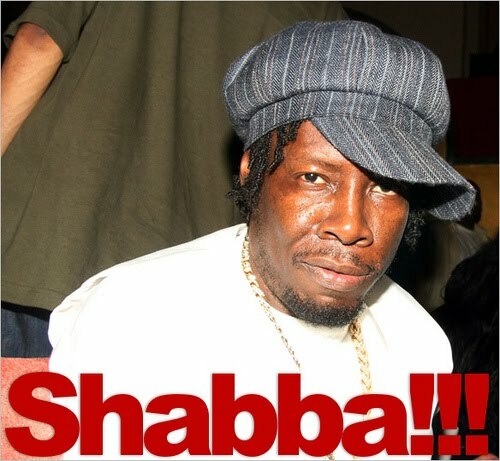 Who better to deliver it then one of the most inportant and recognizable voices in the history of Reggae music, SHABBA RANKS! For this one, Shabba teamed up with fellow TOASTERS, FATTA & LOS for an easy jam about their love of herb smokin’. The lyrics are laid over the COME AROUND RIDDIM (also known as the Last War Riddim) which gives the tune a classic reggae feel. It’s just good. Light up, pump this, and enjoy. You can read more about SHABBA RANKS on WIKIPEDIA, and grab more of his music HERE.